There are several different ways wave height is reported. When RECON reports Wave Height it is referring to Significant Wave Height. This is the same wave height value that the NOAA marine forecast uses. 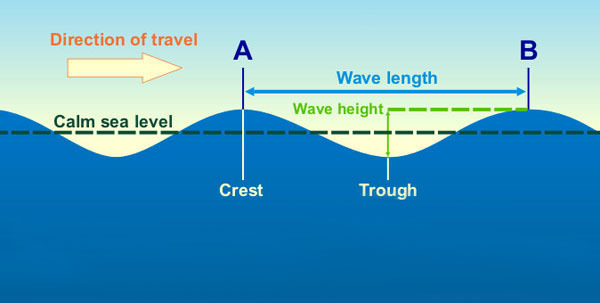 It is as the average height of the highest one-third of waves in a wave spectrum and closely corresponds to what a trained observer would consider to be the average wave height. Devised by oceanographer Walter Munk during World War II, the significant wave height provides an estimation of wave heights recorded by a trained observer from a fixed point at sea. As the following graph shows, a boater will experience a typical ‘wave spectrum’ during their activity, containing a low number of small waves (at the bottom) and a low number of very large waves (at the top). 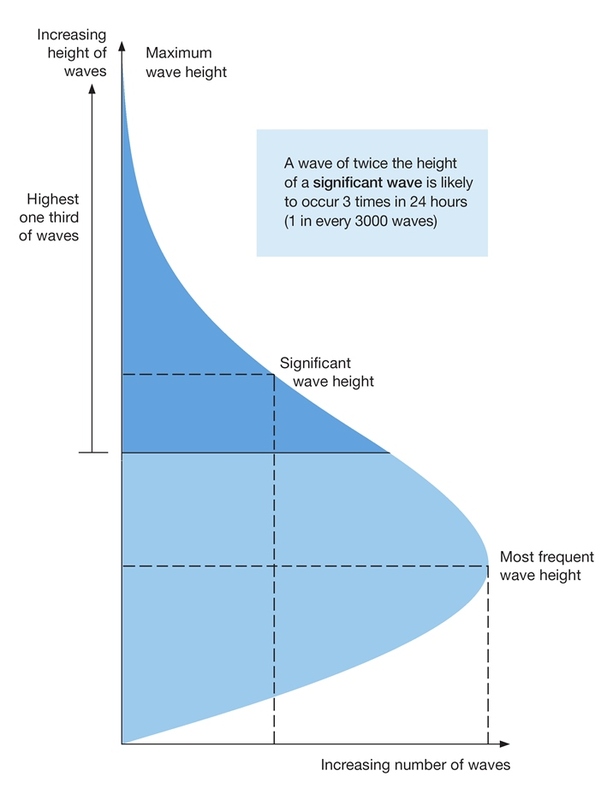 The greatest number of waves is indicated by the widest area of the spectrum curve. Note that the highest wave height of an individual wave will be significantly larger. 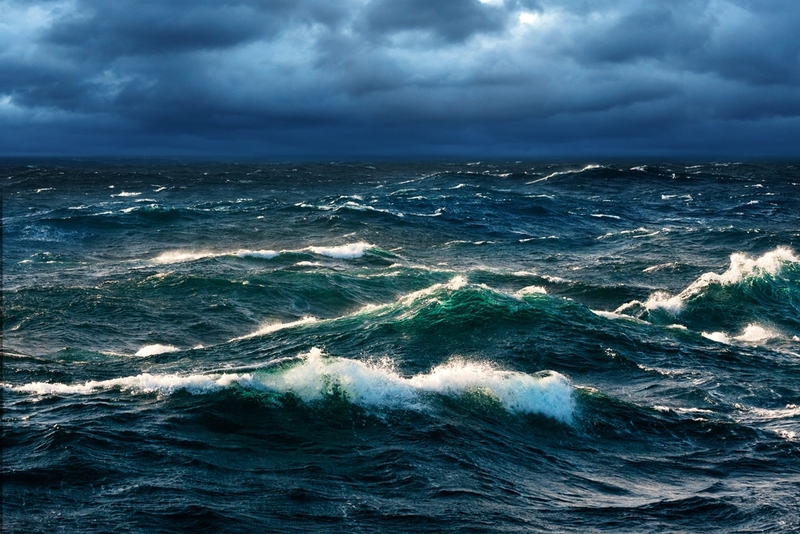 A forecast of 10 foot seas in open waters means a boater should expect to encounter a wave spectrum with many waves between 6 and 10 feet with a small percentage of waves reaching 16 feet and possibly even as large as 20 feet. The Beaufort wind force scale is an empirical measure that relates wind speed to observed conditions at sea or on land. Developed in 1805 by Francis Beaufort, it can be used as a guide to estimate what wave heights can be expected for different wind speeds. It assumes open ocean conditions with unlimited fetch.